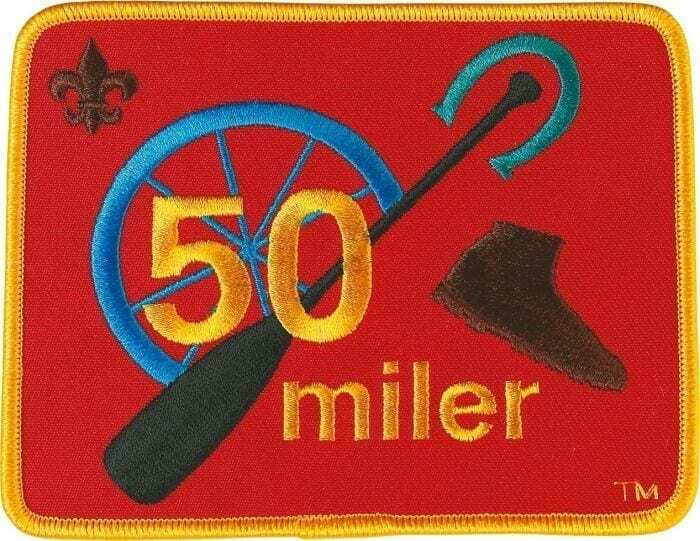 The 50 Mile Award recognizes members who cover the trail or canoe or boat route of not less than 50 consecutive miles; take a minimum of five consecutive days to complete the trip without the aid of motors. Rectangle shaped emblem 5″ x 4″ on red twill background with gold merrowed border. Note: This emblem is not for uniform wear.